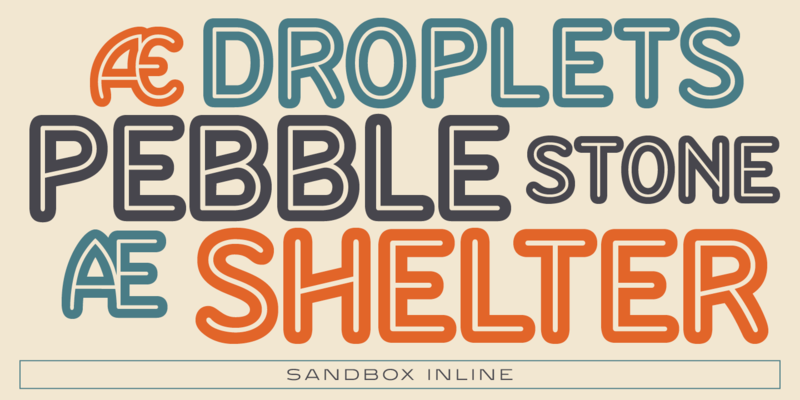 Sandbox was inspired by designs created by the Robert D. DeLittle Foundry in York, England, sometime after 1888. 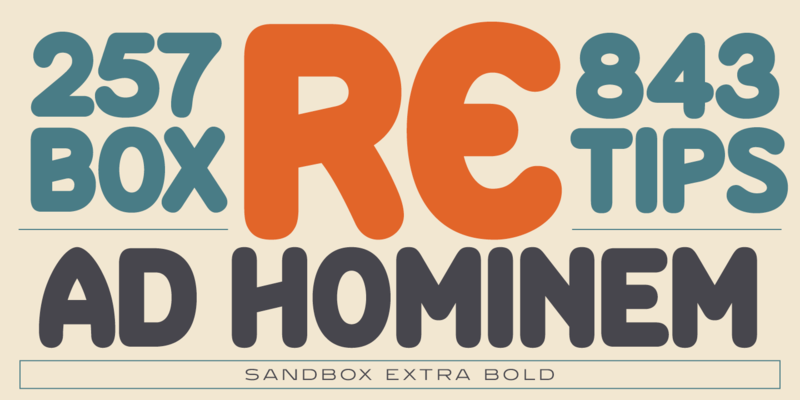 At the time, the fonts were simply grouped under the title #260 in the DeLittle catalog. 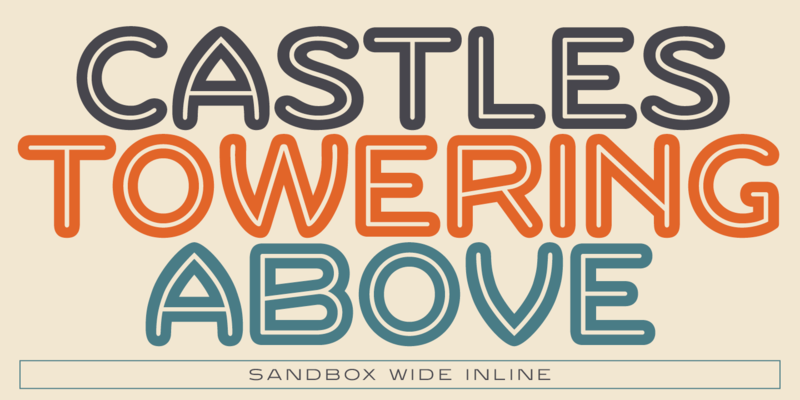 This new font family was completely redrawn and produced by Steve Jackaman (ITF) in 2017, and several additional weights were designed. 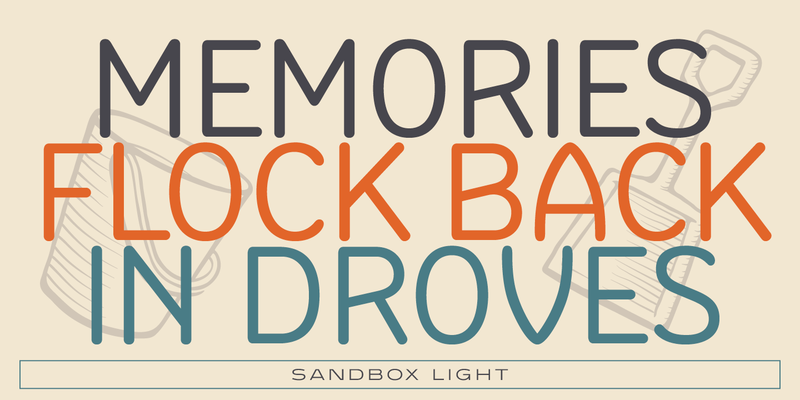 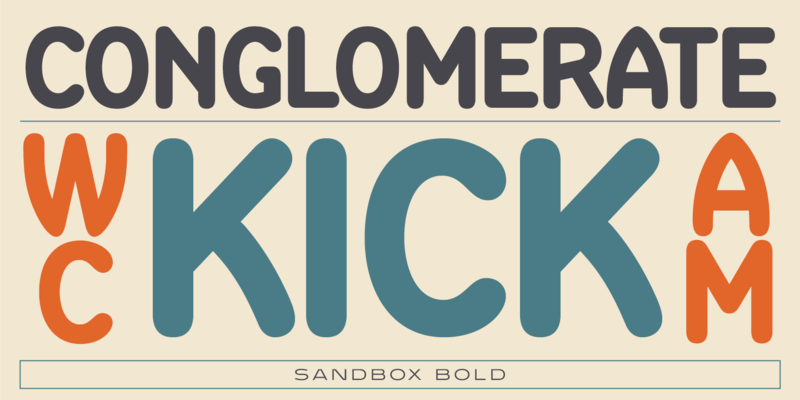 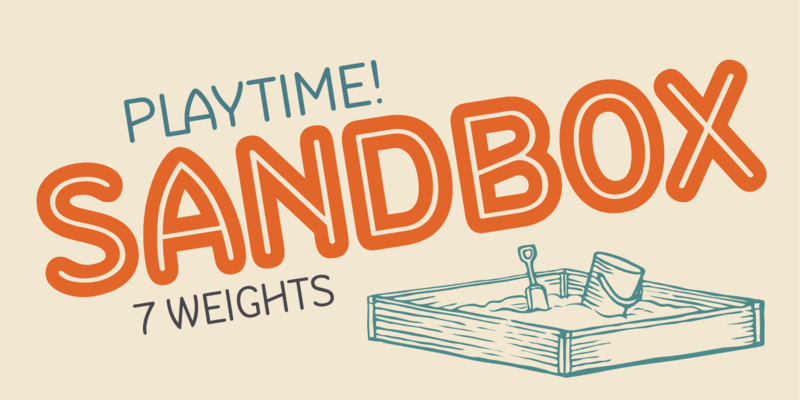 Sandbox was given its new name because it showcases a playful and bold feel, and contains many fun alternate characters and ligatures. 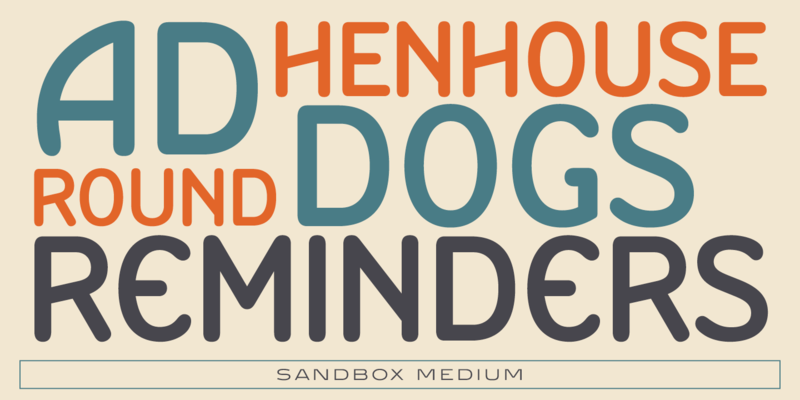 It excels in display, but can still lend a carefree feel to subhead and text sizes. 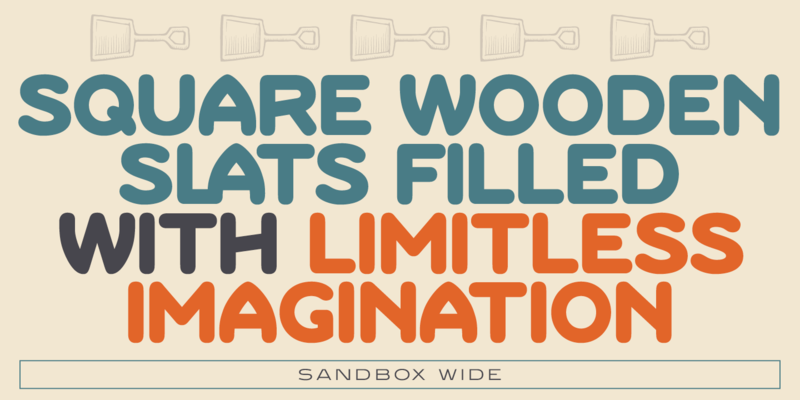 Sandbox is a trademark of International TypeFounders, Inc.